The New York Times just published (February 11, 2016) an opinion piece about using the GPS: Ignore the GPS. That Ocean Is Not a Road. By Greg Milner. Milner gives us some great examples of people who have been led astray by faithfully following their GPS directions for hundreds of miles, across countries, to wrong cities, and into oceans. Why do people unquestioningly follow their GPS device into the ocean or off a cliff? Their use weakens our mental maps. The GPS is a great tool. So is a printed map. They complement each other. I like to use both. I am not alone in that view. Over on the Practical Sailor Facebook page, they published an article from the Coast Guard News, announcing the approval of the official electronic chart. “The Coast Guard will allow mariners to use official electronic charts instead of paper charts, if they choose to do so. With real-time voyage planning and monitoring information at their fingertips, mariners will no longer have the burden of maintaining a full portfolio of paper charts,” said Capt. Scott J. Smith, the chief of the U.S. Coast Guard’s Office of Navigation Systems. This technology will also allow mariners to take advantage of information and data to enhance situational awareness during voyage planning and while underway. They ask, “What’s your opinion on digital vs. paper charts?” The comments say it all! The sailors want printed paper charts to use with their electronic navigation systems. One if by Land: Be sure you take a look at your map and check put the big picture before you jump in the car, program your GPS, and tune out. Two if by Sea: Keep an updated paper chart for backup! As always, Williams & Heintz would be pleased to give you a quote on your map printing project or print a NOAA POD Chart for you. Got a story for you. 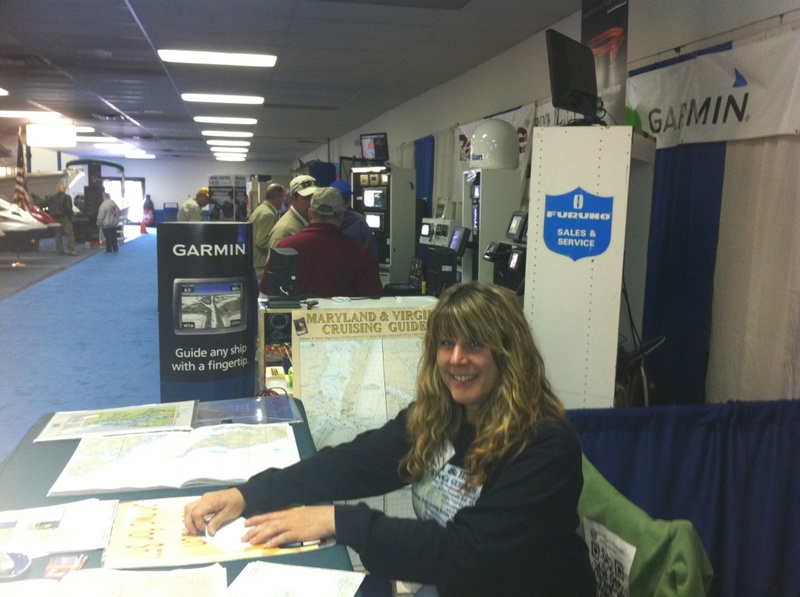 My sister, Robin, goes to boat shows to sell our Williams & Heintz Cruising Guides, nautical chartbooks of Maryland and Virginia waterways. This last week she was in Richmond. Her booth was right next to a vendor of electronic navigation equipment. At the end of the show, he bought a case of chartbooks, to give to his customers, who purchase expensive electronic navigation systems for their boats. He wants them to have them for planning and as a backup. Just goes to show that electronic devices are not replacing printed products, but they complement each other, and make each more effective.